Article 2: This Law applies to the e-commerce activities within the mainland territory of the People's Republic of China. "E-Commerce" as used in this Law refers to business activities that sell merchandise or provide services on information networks such as the internet. Where laws or administrative regulations have provisions on the sales of merchandise or the provision of services, apply those provisions. This Law does not apply to financial products and services; the use of information networks to provide content such as news information, audio-visual programs, publications, and cultural products. Article 3: The State encourages the development of a new business situation for e-commerce, innovation in commercial models, promotion of research and development and proliferation of e-commerce technologies, the advancement of the establishment of systems for creditworthiness in e-commerce, the creation a market environment conducive to developing e-commerce innovations, and giving full play to the important role of e-commerce in promoting high-quality development, satisfying the people's ever-increasing demand for a good life, and linking to open economic models. Article 4: The State treats online and offline commercial activity equally and promotes integrated online and offline development; people's governments and relevant departments at all levels must not employ discriminatory policy measures and must not exploit administrative authority to exclude or limit market competition. Article 5: E-business operators engaging in business activities activities shall comply with the principles of voluntariness, equality, fairness, and creditworthiness; obey laws and commercial ethics, participate fairly in market competition, perform obligations in areas such as consumer rights protections, environmental protection, intellectual property rights protection, and protection of network security and personal information,take responsibility for the quality of products and services, and accept oversight from the government and public. Article 6: The relevant departments of the State Council are responsible for the development and promotion of e-commerce, and its oversight and management, in accordance with their duties and the division of labor. All levels of local people's government at the county level or above may determine the distribution of departmental duties for e-commerce in that administrative region, based on the actual conditions in that administrative region. Article 7: The State is to establish a system for coordinated management suited to the characteristics of e-commerce, promote the formation of an e-commerce market regulatory system in which relevant departments, e-commerce industry organizations, e-commerce businesses, and consumers jointly participate. Article 8: E-commerce industry organizations are to carry out industry discipline in accordance with the organizations' charters, establish and complete industry regulations, promote the establishment of creditworthiness in that industry, and overseeing and guiding industry businesses' fair participation in market competition. Article 9: "E-commerce operators" as used in this Law refer to natural persons, legal persons, and unincorporated organizations that engage in the business activities of selling merchandise or providing services on the internet or other information networks, including e-commerce platform operators, intra-platform operators, and other e-commerce operators who sell merchandise or provide services on self-built websites or other network services. "E-commerce platform operators" as used in this Law refer to legal persons and unincorporated organizations that provide two or more parties to a transaction in e-commerce with services such as network business venues, dealmakings, and information distribution, for the two or more parties to the transaction to independently carry out business activities. "Intra-platform operators" as used in this Law refers to e-commerce operators who sell merchandise or provide services on e-commerce platforms. Article 10: E-commerce operators shall perform market entity registrations in accordance with law. However, individuals who sell self-produced subsidiary agricultural products or household handicraft products, individuals who engage in labor services for the convenience of the public and in small sporadic transactions for which no license is required by law, as well as those that need not register according to laws or administrative regulations are excepted. Article 11: E-commerce operators shall fulfill tax obligations in accordance with law and enjoy tax benefits in accordance. Article 12: E-commerce operators that by law need to obtain the relevant administrative licenses to engage in business activities shall obtain administrative license in accordance with law. Article 13: The merchandise sold by or the services provided by e-commerce operators shall comply with the requirements on personal and property protection and environmental protection; merchandise or services in which trade is prohibited by laws or administrative regulations must not be sold or provided. Article 14: When selling merchandise or providing services, e-commerce operators shall provide paper or electronic invoices or such other proofs of purchase or service vouchers in accordance with law. Electronic invoices and paper invoices have the same legal force. Article 15: E-commerce operators shall continuously and publicly display at prominent positions on their front pages business license information, administrative license information related to their business activities, status as being exempted from market entity registration as provided in article 10 of this Law, and such other information, or symbols of links to aforementioned information. Where the information provided in the previous paragraph changes, e-commerce operators shall promptly update the publicly displayed information. Article 16: Where e-commerce operators voluntarily cease engagement in e-commerce, they shall continuously and publicly display the relevant information at prominent positions on their front pages 30 days in advance. Article 17: E-commerce operators shall comprehensively, truthfully, accurately, and promptly disclose merchandise or service information to protect the consumers' right to know and the right to choose. E-commerce operators must not engage in false or misleading commercial promotion to deceive or mislead consumers by such means as making up transactions or fabricating user reviews. Article 18: Where e-commerce operators provide consumers with search results for merchandise or services based on their hobbies and interests, spending habits, and other characteristics, they shall at the time provide said consumers with options not targeting their personal characteristics, so as to respect and equally protect the lawful rights and interests of consumers. E-commerce operators that send advertisements to consumers shall comply with the relevant provisions of the "P.R.C. Advertising Law." Article 19: E-commerce operators bundling products or services shall alert consumers to pay attention in a conspicuous manner, and must not make agreeing to bundled products or services a default option. Article 20: E-commerce operators shall deliver products and services to consumers in the manner and time provided in commitments or as agreed upon with consumers, and bear the risk and responsibility for transport of goods. However, this does not include where consumers separately select courier or logistics service providers. Article 21: Where e-commerce operators collect a deposit from consumers as agreed, they shall clearly express the method and procedures for returning the deposit, and must not set up unreasonable requirements for the return of the deposit. Where consumers apply for the return of their deposit and meet the requirements for its return, e-business operators shall promptly return it. Article 22: Where e-business operators have a dominant market position due to technical advantages, user volume, ability to control the relevant industry, the degree of reliance on that e-business operator by other operators, and other such factors, they must not abuse their market dominance to eliminate or restrict competition. Article 23: E-business operators collecting or using their users' personal information shall respect the provisions of laws and administrative regulations on the proctetion of personal information. Article 24: E-business operators shall clearly indicate the methods and procedures for inquiries, modification, and deletion of user information, as well as for unregistering; and must not set up unreasonable requirements for inquiries, modification, and deletion of user information, as well as for unregistering. Where e-business operators receive applications for inquiries, modification, or deletion of user information, they shall promptly make the inquiry, or modify or delete the user information, after identity verification. Where users deregister, e-business operators shall immediately delete those users' information; but where laws and administrative regulations or mutual agreement provide that it will be stored, follow those provisions. Article 25: Where the relevant regulatory departments request that e-business operators provide e-commerce data or information in accordance with laws and administrative regulations, the e-business operators shall provide it. The relevant regulatory departments shall employ necessary measure to protect the security of data and information provided by e-business operators, and strictly preserve the confidentiality of personal information, private information, and commercial secrets contained in it, and must not disclose, sell, of unlawfully provide it to others. Article 26: E-business operators that engage in cross-border e-commerce shall abide by laws, administrative regulations, and the relevant State provisions on import and export supervision and administration. Article 27: E-commerce Platform Operators shall request that businesses applying for access to the platform to sell goods or provide services submit truthful information such as on their identity, address, contact methods, and administrative permits; and are to carry out verification, registration, establish a registration archive, and periodically update verification. Article 28: E-commerce platform operators shall follow provisions to report to the market oversight and management departments on the identity of businesses on the platform [on-platform businesses], remind businesses that have not completed market entity registrations to do so, and cooperate with the the market oversight and management departments to focus on the characteristics of e-commerce in facilitating completion of registrations by businesses that have not yet registered as market entities. E-commerce platform operators shall comply with provisions of laws and administrative regulations on tax collection and management, reporting to tax department on the identity and tax-related information of on-platform businesses, and shall remind E-commerce businesses that do not need to complete market entity registration in accordance with article 10 of this Law to complete tax registration in accordance with the second paragraph of article 11 of this Law. Article 29: Where e-commerce platform operators discover that information on goods or services on the platform has situations violating articles 12 or 13 of this Law, they shall employ necessary measures to handle it in accordance with law, and report to the relevant regulatory departments. Article 30: E-commerce platform operators shall employ technical measures and other necessary measures to ensure network security and stable operations, to prevent online violations and crimes, and to effectively respond to network security incidents and ensure the security of e-commerce transactions. Article 31: E-commerce platform operators shall record and store information on goods and services on the platform, transaction information, and ensure that the information is complete, confidential, and usable. The storage period for information on goods and services and for transaction information is not to be less than three years from the date on which the transaction was completed; where laws and administrative regulations provide otherwise, follow those provisions. Article 32: E-commerce platform operators shall observe the principles of openness, fairness, and equity; and shall draft platform service agreements and transaction rules clearly indicating rights and obligations concerning platform access and withdrawal, quality assurance for goods and services, consumer rights protections, personal information protections, and other areas. Article 33: E-commerce platform operators shall continuously display platform service agreements and transaction rule information, or links to this information, in a conspicuous position on their homepage, and ensure that businesses and consumers can conveniently and completely read and download them. Article 34: E-commerce platform operators revising platform service agreements and transaction rules shall publicly solicit comments in a conspicuous position on their homepage, and employ reasonable measures to ensure that relevant parties can promptly and fully express their opinions. Revised content shall be announced at least seven days before it is implemented. Article 35: E-commerce platform operators must not exploit service agreements and transaction rules, as well as technical methods, to unreasonably restrict or put unreasonable requirements on on-platform businesses' transactions, transaction prices, or transactions with other businesses, or collect unreasonable fees from platform businesses. Article 36: Where e-commerce platform operators follow the platform service agreement and transaction rules to take measures against on-platform businesses that violate laws or regulations, such as giving them warnings, suspending or terminating their service, they shall promptly make a public announcement. Article 37: Where e-commerce platform operators launch their own business operations on the platform, they shall distinctly label their own business operations and those of on-platform businesses in a conspicuous manner, and must not mislead consumers. E-commerce platform operators bear civil responsibility in accordance with law for the sale of goods or provision of services marked as being their own business operations. Article 38: Where e-commerce platform operators know or should know that goods or services sold or provided on the platform do not comply with requirements for personal or property security, or otherwise violate consumers' lawful rights and interests, and do not take necessary measures, they bear joint liability with the on-platform business in accordance with law. For goods and services that relate to consumers' health, where e-commerce platform operators do not act on their obligations to review and verify the credentials or qualifications of on-platform businesses, or do not act on their obligations to ensure consumers' safety, and causing harm to consumers, they bear corresponding responsibility in accordance with law. Article 39:E-commerce platform operators shall establish and complete credit rating systems, announcing rules for credit ratings, to give consumers a channel through which to rate the goods sold and services provided on the platform. E-commerce platform operators must not delete consumers' ratings of goods sold or services provided on their platform. Article 41: E-commerce platform operators shall establish rules for protecting intellectual property rights, strengthening cooperation with intellectual property rights rights-holders to lawfully protecting intellectual property rights. Article 42: Where the intellectual property rights rights-holder feels that their intellectual property rights have been violated, they have the right to notify the e-commerce platform operator to take necessary measures such as deleting, blocking, disconnecting links, or ending transactions or services. The notice shall include preliminary evidence that a violation was constituted. 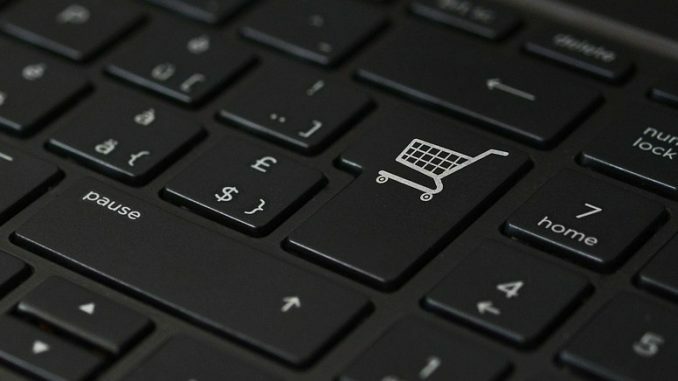 After e-commerce platform operators receive notice, they shall promptly employ necessary measures and send the notice to the on-platform business; and where they do not promptly take the necessary measures, they are to bear responsibility for any increase in the harm joint with the on-platform business. Where error in a notice causes harm to an on-platform business, civil responsibility is borne in accordance with law. Where an erroneous notice is issued maliciously, causing harm to an on-platform business, responsibility for double compensation is borne. Article 43:After on-platform businesses receive transferred notices, they may submit declarations to the e-commerce platform operator stating that no violations exists. The declarations shall include preliminary evidence showing that no violations exist. After e-commerce platform operators receive declarations, they shall send the statement on to the intellectual property rights rights-holder, and inform them that they may complain to the relevant regulatory department or initiate a proceeding in the people's courts. Where e-commerce platform operators have not received notice that the rights-holder has made a complaint or initiated litigation within 15 days of transferring a declaration to them, they shall promptly stop all measures they have employed. Article 44:E-commerce platform operators shall promptly announce receipt of the notices and declarations provided for in articles 42 and 43 of this law, as well as their dispositions or outcome. Article 45:Where e-commerce platform operators know or should know that on-platform businesses have violated intellectual property rights, they shall employ necessary measures such as deletion, blocking, breaking links, or ending transactions and services; where they do not employ necessary measures, they bear joint responsibility with the violator. Article 46:Except as provided in the second paragraph of article 9 of this law, e-commerce platform operators may provide services to on-platform businesses in accordance with the platform service agreement and transaction rules such as for warehousing, logistics, payment clearance, and settlement. E-commerce platform operations providing service for e-commerce between on-platform businesses shall obey laws, administrative regulations, and relevant national provisions, and must not conduct transactions by employing centralized transaction methods such as centralized bidding or market makers, and must not conduct standardized contract transactions. Article 47:The provisions of this Chapter and of such laws as the "P.R.C. General Provisions of the Civil Law," "P.R.C. Contracts Law," and "P.R.C. Electronic Signatures Law" apply to the conclusion and fulfillment of contracts by e-commerce parties. Article 48:E-commerce parties use of automatic information systems to form or perform contractual action is legally effective as to the party using that system. The presumption in e-commerce is that parties have the corresponding capacity for civil conduct. Except, however, where there is evidence sufficient evidence to overturn it. Article 49: Where information published by e-business operators on goods and services meets the requirements for an offer, a contract is formed when users select those goods or services and successfully submit orders. Where parties have stipulated otherwise, follow those stipulations. Article 50:E-business operators shall clearly, comprehensively, and explicitly inform users of the steps to forming a contract, matters needing attention, download methods, and other such matters, to ensure that users can conveniently and completely read and download it. Article 51:Where the contract is for delivery of goods and delivery is to be by courier service, the time of delivery is when the recipient signs for receipt. Where the contract is for the provision of services, the time when an electronic receipt is produced or the time indicated on a physical receipt is the time of delivery; and where there is not time indicated on the receipts described above or where the time is not the same as the actual time at which the services were provided, the actual time that the services were provided is the time of delivery. Where the contract is for delivery by online transmission, the time of delivery is the time at which the subject of the contract enters the party's designated systems and can be retrieved and identified. Article 52:Parties to e-commerce may stipulate to delivery of goods by courier. Courier service providers providing courier services for e-commerce shall obey laws and administrative regulations, and shall comply with promised service norms and times. When courier service providers deliver goods, they shall remind the recipient to sign the examine them in front of them; where others accept on their behalf, it shall be with the consent of the recipient. Courier service providers shall use environmentally friendly packing materials in accordance with provisions, and realize the reduction and reuse of packing materials. Article 53:Parties in e-commerce may stipulate to using electronic payment methods to make payment. Article 54:Where electronic payment service providers provide electronic services that do not meet the relevant national payment security requirements, causing harm users, they shall be responsible for compensation. Article 55:Before users issue payment orders,they shall review complete information on the order including the amount and payee. Article 56:After electronic payment service providers complete electronic payments, they shall promptly and accurately provide users with information confirming the payment in the manner agreed upon. Article 57:Users shall appropriately keep transaction passwords, electronic signature data and other security tools. Where users discover that security tools have been lost or stolen or payments have made without authorization, they shall promptly notify the electronic payment service providers. Losses caused by unauthorized transactions are to be borne by the electronic payment service providers; but electronic payment service providers do not bear responsibility where they can prove that the unauthorized payment was caused by the users' fault. Article 58:The State encourages e-commerce platform operators establish mechanisms for ensuring the quality of goods and services that are conducive to the development of e-commerce and the protection of consumers rights and interests. Article 59:E-business operators shall establish rapid and effective systems for complaints or reports, information on disclosing complaints and reports, and promptly accept and handle complaints and reports. Article 60:E-commerce dispute may be resolved through methods such as negotiation and settlement; requesting mediation from consumer organizations, industry associations, or other lawfully established mediation organizations; requesting arbitration; or initiating litigation. Article 61:When consumers purchase goods or receive services through an e-commerce platform and a dispute occurs with on-platform businesses, the e-commerce platform operators shall proactively assist the consumer in protecting their lawful rights and interests. Article 62:In the handling of e-commerce disputes, e-business operators shall provide the original contract and transaction records. Where e-business operators have lose, fabricate, alter, destroy, conceal, or refuse to provide the materials above, making it so that the people's courts, arbitration bodies, or other relevant organs are unable to ascertain the facts, the e-business operators shall bear corresponding legal responsibility. Article 63:E-commerce platform operators may establish online dispute resolution mechanisms, drafting and announcing rules for dispute resolution, resolving parties' disputes in accordance with the principles of voluntariness, fairness, and equity. Article 64:The State Council and provincial, autonomous region, or directly governed municipality people's governments shall include the development of e-commerce in the citizens' economic and social development plan, drafting scientific and rational industry policies, promoting innovation and development in e-commerce. Article 65: The State Council, people's governments at the county level or above, and their relevant departments shall employ measures, support, and promote environmentally friendly packaging, warehousing, and transport, promoting the environmentally friendly development of e-commerce. Article 66:The State promotes the construction of e-commerce infrastructure and logistics networks, improving institutions and systems for e-commerce, and strengthening the establishment of a system of standards for e-commerce. Article 67:The state promotes the use of e-commerce in every area of the public economy, and supports the combined development of e-commerce and every industry. Article 68:The State is to advance the use of the internet in agricultural production, processing, circulation, and other such phases, encouraging stronger cooperation in for all kinds of social resources, promoting the development of rural e-commerce, and giving play to the function of e-commerce in precision poverty alleviation. Article 69:The state maintains the security of e-commerce transactions, protects e-commerce users' information, encourages the development of applications for e-commerce data, and safeguards the lawful, orderly, and free flow of e-commerce data. Article 70:The state supports the lawful establishment of credit rating bodies carrying out e-commerce credit ratings, and providing the public with e-commerce credit rating services. Article 71:The state advances the development of cross-border e-commerce, establishing and completing management systems such as for customs, taxation, entry-exit inspections and quarantine, and payment settlements, to increase the level of facilitation at every phase of cross-border e-commerce, and support cross-border e-commerce platform operators' provision of warehousing, logistics, customs declarations and inspections, and other such services for cross-border e-commerce. Article 72:The State Import/Export Administration departments shall advance the establishment of comprehensive services and oversight management systems for steps such as declarations, taxation, inspections and quarantine; optimize oversight management processes; promote bringing about information sharing, reciprocal recognition in oversight management, and mutual assistance in law enforcement; and increase efficiency of cross-border e-commerce services and oversight management. Cross-border e-business operators may handle relevant formalities with the state import/export administration departments on the basis of their electronic documents. Article 73:The state promotes the establishment of exchanges and cooperation with different countries and regions on cross-border e-commerce, participation in the drafting of international rules on e-commerce, promotion of international mutual recognition of electronic signatures, electronic identification, and so forth. Article 74:Where E-business operators selling goods or providing services do not perform contractual obligations, do not perform contractual obligations as stipulated, or cause harm to others, they bear civil responsibility in accordance with law. Article 75:Where e-business operators violate articles 12 or 13 of this Law by failing to obtain relevant administrative permits to engage in business activities; or sell or provides goods and services that laws or administrative regulations prohibit transactions of, or don't perform obligations to provide information as provided for in article 25 of this law; or where e-commerce platform operators violate article 46 of this Law by employing centralized trading methods or conduct standardized contract trading; punishments are to be given in accordance with relevant laws and administrative regulations. Article 76:Where e-business operators violate the provisions of this law and exhibit any of the following conduct, the market oversight and management departments are to order that corrections be made in a set period of time, and may give a fine of up to 10,000 RMB; and for e-commerce platform operators among these, punishment is to be given in accordance with the first paragraph of article 81 of this Law. (1) Failing to display information on the homepage such as on business licenses, administrative permits, or circumstances not requiring registration as a market entity in a conspicuous position on the homepage, or having links to the information above. (2) Failing to continuously display information regarding ending e-commerce in a conspicuous place on the homepage. Article 77:Where e-business operators violate the provisions of the first paragraph of article 18 of this Law in providing search results, or violate the provisions of article 19 on bundling of goods and services, the market oversight and management departments are to order that corrections be made within a set time, confiscate illegal income, and may give a fine of between 50,000 and 200,000 RMB; where the circumstances are serious, a fine of between 200,000 and 500,000 RMB is to be given. Article 78:Where e-business operators violate the provisions of article 21 of this Law by failing to make the methods and procedures for returning deposits clear to consumers, set up unreasonable requirements for the return of deposits, or do not promptly return deposits, the relevant regulatory departments are to order that corrections be made within a set time, confiscate illegal income, and may give a fine of between 50,000 and 200,000 RMB; where the circumstances are serious, a fine of between 200,000 and 500,000 RMB is to be given. Where e-business operators violate provisions of laws or administrative regulations on protection of personal information, or do not perform obligations to ensure network security as provided for in article 30 of this Law and relevant laws and administrative regulations, punishment is to be given in accordance with the the "People's Republic of China Cyber-security Law" and other laws and administrative regulations. Article 80:Where e-commerce platform operators exhibit any of the following conduct, the relevant regulatory departments are to order corrections within a set period of time; and where corrections are not made in that time, give a fine of between 20,000 and 100,000 RMB; and where circumstances are serious, order that operations be suspended for rectification and give a concurrent fine of between 100,000 and 500,000 RMB. (2) Not reporting relevant information to the departments for market oversight and management or taxation as provided for in article 28 of this law. (3) Not employing necessary measures to address unlawful circumstances as provided for in article 29 of this Law, or failing to report to the relevant regulatory departments. (4) Not performing obligations to store information on goods, services and transactions as provided for in article 31 of this Law. Where laws or administrative regulations have other provisions on punishing the unlawful acts provided for in the preceding paragraph, follow those provisions. 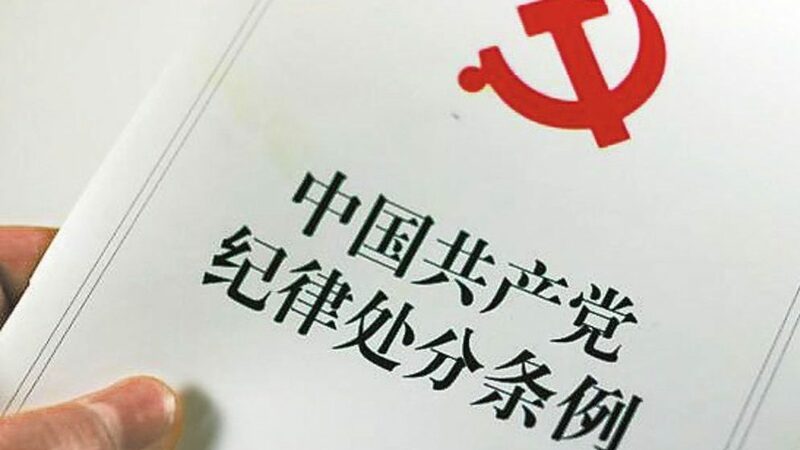 Where e-commerce platform operators violate the provisions of Article 40 of this Law by not conspicuously labeling goods and services that are paid placements as 'advertisements', punishment is in accordance with the provisions of the "Advertising Law of the People's Republic of China." Article 82:Where e-commerce platform operators violate the provisions of article 35 of this law by carrying out unreasonable restrictions or place unreasonable requirements on on-platform businesses' transactions, transaction prices, and transactions with other businesses, or attach collect unreasonable fees from on-platform businesses, the market oversight and management departments are to order that corrections be made in a set period of time, and may give a fine of between 50,000 and 500,000 RMB; where the circumstances are serious, a fine of between 500,000 and 2,000,000 RMB is to be given. Article 83:Where e-commerce platform operators violate the provisions of article 38 of this Law by failing to take necessary measures against on-platform businesses violations of consumers' lawful rights and interests, or failing to perform obligations to review credentials and qualifications of on-platform businesses, or fail to perform obligations to safeguard consumer's safety, the market oversight and management departments are to order that corrections be made within a set time, and may give a fine of between 50,000 and 500,000 RMB; where circumstances are serious a fine of between 500,000 and 2,000,000 RMB is to be given. Article 84:Where e-commerce platform operators violate the provisions of article 42 or article 45 of this Law by failing to take necessary measures against on-platform businesses violations of intellectual property rights in accordance with law, the administrative departments for intellectual property rights are to order that corrections be made within a set time; and where corrections are not made in that time, are to give a fine of between 50,000 and 500,000 RMB; where circumstances are serious a fine of between 500,000 and 2,000,000 RMB is to be given. Article 85:Where e-business operators violate the provisions of this law by selling goods or providing services that do not meet requirements for ensuring the safety or persons and property, by carrying out false or misleading commercial publicity or other acts of unfair competition, by abusing their dominant market positions, or by acts violating intellectual property rights or consumers' rights and interests and so forth, punishment is to be in accordance with the relevant laws. Article 86:Where e-business operators exhibit unlawful conduct provided for in this Law, record it in the credit archives and make it public in accordance with relevant laws and administrative regulations. Article 87:Where employees of departments that oversight and management duties for e-commerce, neglect their duties, abuse their authority, or twist the law for personal gain; or who leak, sell, or illegally provide others with personal information, private information, or commercial secrets they learn of through performance of their duties; legal responsibility shall be pursued in accordance with law. Article 88:Where provisions of this Law are violated, constituting a violation of the administration of public security, public security administrative sanctions are given in accordance with law; where a crime is constituted, criminal responsibility is pursued in accordance with law. Article 89:This law is to take effect on January 1, 2019. Thanks for posting the translation. I noticed some of the articles were not translated. Will we be able to see the full translation soon? Our translations are collaboratively produced real-time. Hit refresh once a day and you’ll see what comes up. And thanks for supporting us. The estimated value for a full translation of this post is $657.42 USD at the below-market rate of $.06 per character, with 10,307 characters.